The early signs of original content can be traced back to the days of Permanent Roommates Season 1. From quality web series to full fledged original content, Indian finally had its House of Cards moment last year as OTT players dived into the deeper end of the pool! Indian OTT industry has evolved into a highly service driven sector, meeting the content needs of the demanding generation. An independent ecosystem, the OTT industry is in the process of establishing new distribution channels, define exclusive ad formats, and create synergies unknown to the traditional television world. According to Deloitte India TMT Predictions 2018 Report, Indian OTT industry is slated to grow to an all new level and original content will play a very important part in it. India has nearly 432 million internet users and this number is growing at a rate of 4-8%.30, making it the biggest market potential for global players. At present, India has probably one of the most liberal investment regimes amongst the emerging economies with a conducive foreign direct investment (FDI) environment. The Media and Entertainment (M&E) industry has significantly benefited from this liberal regime and most sectors of the M&E industry today allow foreign investment. For example, Balaji Telefilms Limited has raised INR 1.5 billion ($ 22.09 million) through allotment of equity shares on preferential basis to catapult the launch and growth of ALT Digital Media, a Business-to-Consumer digital content business segment of Balaji Group. The changing multi-screen consumption pattern and demand for more choice of content is compelling the M&E companies to take the route of OTT. OTT is witnessing 35% growth year on year. Currently, there are about 30 OTT players in India. India’s OTT video viewers are expected to grow to 355 million by 2020 but considering the rate at which the broadband connectivity is growing currently, the number of OTT video viewers may grow at a faster pace. 100% jump was noted in the subscriber base of Hotstar from 33 million in August 2016 to 67.5 million in August 2017. In August 2017, the user base of Netflix and Amazon Prime Videos grew to 5.37 million and 12.64 million, respectively. Trend has shown that the people are willing to spend on original content. This is driving OTT service providers to invest in original content programs. OTT players are heavily investing in creating and distributing original programming in Hindi and regional languages. 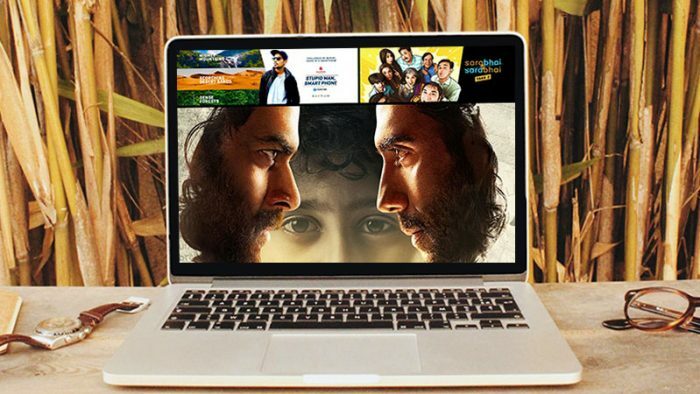 Currently, about INR 25,000 – 33,000 million ($400- $500 million) has been set aside for OTT services in India especially for original content production with a significant stake committed by Amazon Prime, with the global player speculated to invest $300 million in the Indian market for acquiring rights of Bollywood films and also producing original content. Also Read: Original Content and KPIs – Are big budget web series paying off? It is expected that the vernacular users will be more than 2.5 times of English Internet user base by 2021. Currently, the viewership of OTT platform is 40% from regional content. ALTBalaji launched its first regional Tamil show “Maya Thirrai” in May. They are expanding by introducing regional shows in Hindi, Tamil, Bengali, Telugu, and Gujarati. SonyLiv launched Marathi web series called Yolo with plans to launch regional short films. As more and more consumers are adopting this medium, advertisers are following them. In the forefront are consumer durables, electronic and automobile industries, as well as premium FMCG companies, who are booking slots and overlays on the OTT platforms. Expectation for the overall digital advertising market in India includes probable cannibalization of advertisement revenues from other traditional segments like TV, radio, and print media. The indications are that the digital advertisement market size will be INR 354 billion ($5580 million) by 2020. The arrival of Jio proved to be a catalyst for the Indian OTT industry; telco players will continue to play an important role – as a distribution channel and with affordable data plans. OTT players on the other hand will focus more on Original Content this year, while building a strong vernacular library. The article has been curated from Deloitte India TMT Predictions 2018 Report. Your Content is Outstanding, but is it Standing out? 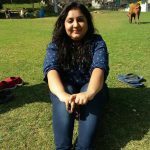 Social media & regulation: India fails once again?